In Exodus, God defines himself as the God of mercy. In words echoed throughout the Old Testament, he tells Moses he's “the Lord, a God merciful and gracious, slow to anger and abounding in steadfast love and faithfulness.” The Hebrew for mercy evokes the tender love of a mother for her child. The God of mercy is also gracious, ever ready to understand and forgive. He's slow to anger, prepared to wait patiently for repentance to grow in our hearts. Likewise, he abounds in steadfast love and faithfulness. God’s love, freely given, precedes any merit on our part; his faithfulness, like that of the father in the parable of the prodigal son, has no limits. He waits for us, ever ready to forgive our sins and welcome us into a right relationship with him. In this Year of Mercy, may we turn to God with all our heart, trusting in his infinite mercy, grace, faithfulness, and love. 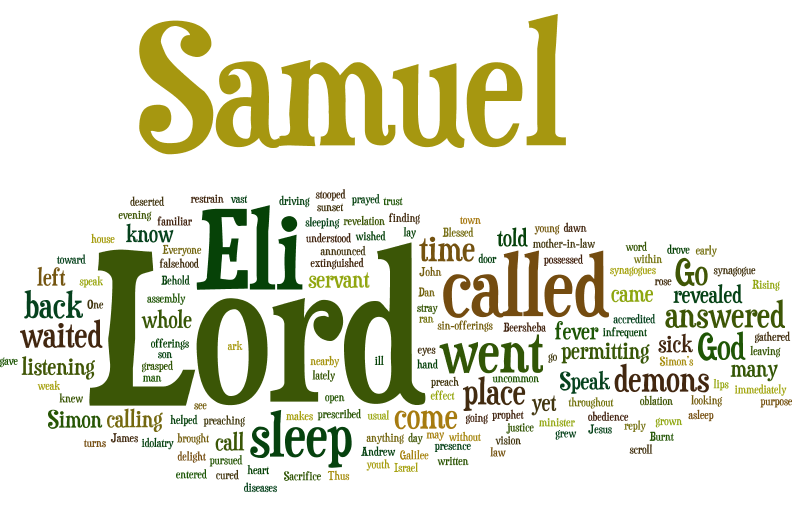 1 Sm 3:1-10, 19-20 While Samuel and Eli were asleep. the Lord called Samuel, who answered, “Here I am” and ran to Eli: “You called. 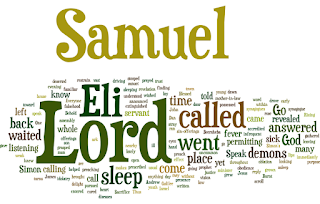 ” Eli answered, “I didn't; go back to sleep.” Again God called Samuel, who went to Eli, who answered, “No; go to sleep.” The Lord called Samuel a third time, and he again went to Eli, who now understood God was calling him and said, “If you're called again, reply, ‘Speak, Lord; your servant is listening.’” The Lord called again, and Samuel so answered. Samuel grew; the Lord was with him. Israel came to know Samuel as a prophet. Ps 40:2, 5, 7-10 "Here am I, Lord; I come to do your will." I have waited for the Lord, and he heard my cry. Blessed those who trust the Lord. You didn't want oblation but gave me ears open to obedience. To do your will is my delight. Mk 1:29-39 Simon’s mother-in-law lay sick with a fever. Jesus helped her up, and the fever left her. They brought him all who were ill or possessed; he cured many. He rose early to pray, then went to preach and heal throughout Galilee. 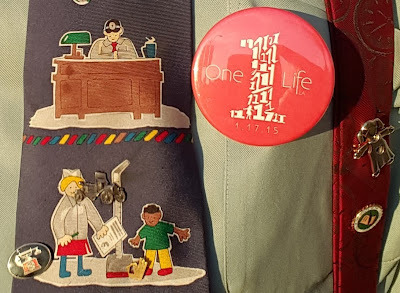 Creighton: Is my daily routine like Jesus'? (Pray, work/serve/solve problems, go to bed tired) “Pray as if everything depended on you; work as if everything depended on God.” (Ignatius Loyola) is the opposite of the popular belief: we pray because what we'll do is important. We consider before God whether what we'll do is God’s will. Jesus' prayer led Jesus to go to other villages, leaving the village of Simon’s mother, and leaving behind people who were nice to him for different ones, with no guarantees. He acted after prayer with complete trust in God. DailyScripture.net: "Jesus healed many who were sick": Jesus' disciples brought their troubles to him because he could deal with any difficulty, affliction, or sickness. “Can you imagine Jesus standing before your bed and you continue sleeping? It's absurd you'd stay in bed. Jesus is already here offering himself to us. He stands among you, but you don't recognize him. God's kingdom is in your midst. Faith beholds Jesus among us. If we can't take his hand, let's prostrate ourselves at his feet. If we can't reach his head, let's wash his feet with our tears. Our repentance is the Savior's perfume. See how costly is his compassion" (Jerome, paraphrased). Do I allow Jesus to be the Lord and healer in my life? Hilary of Poitiers, bishop, doctor of Church, fought Arianism; see Wikipedia, Catholic Encyclopedia. Kentigern (Mungo), bishop, monastery founder; see Catholic Encyclopedia, Wikipedia.